Leamington born James Hancocks started his career with Walsall but on his release from there he joined the Harriers academy. During his time with us he has been sent out on loan a couple of times but now that he has his first professional contract he’ll be hoping to make his debut for the seniors sometime during the 2016-17 season. 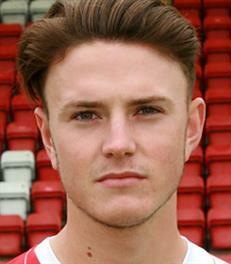 After spending time out on loan at various local clubs James left Aggborough at the end of the season. He is now with Stratford Town.